Yesterday, at a time I was unable to determine, pitchers and catchers for the Oakland Athletics reported for Spring Training. Over the next three days, the same phenomenon will take place for each of the other 29 clubs in baseball. 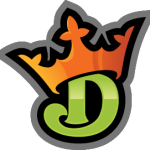 We’re no longer at a place where only the diehards are thinking about the 2019 MLB season; in fact, Fantasy Baseball drafts are almost upon us. In the spirit of that, I thought it might be time to break out my soon-to-be patented “Leslie Knope Fantasy Trustworthiness Scale”. Which, in the simplest terms, is basically a 1-to-10 spectrum rating how much you can rely on a particular player, based upon the most trustworthy television character in recent memory. Today’s rendition will focus squarely on selecting your SP2, specifically, three men who have seen their ADPs jump considerable margins in the past 365 days. By last season’s end, few players had established themselves amongst the game’s elite in a more surprising manor than Corbin. To be honest, he couldn’t have picked a better time to make the leap, either. 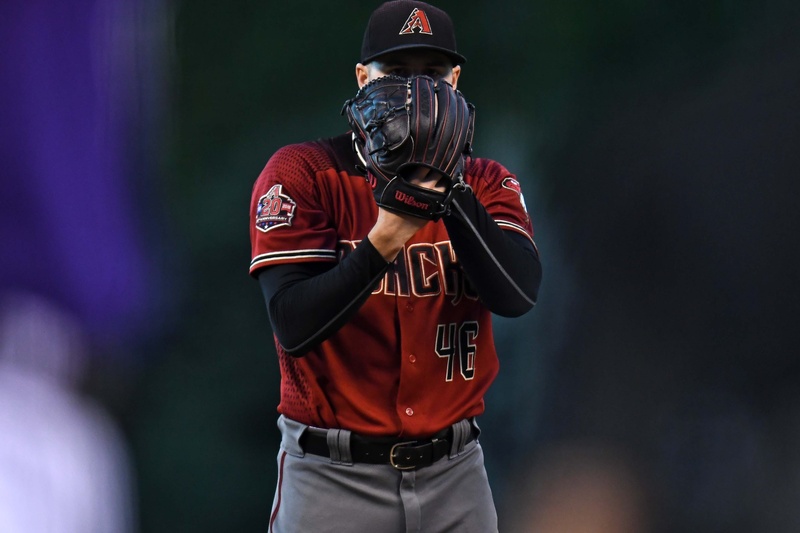 the 29-year-old hit free agency after posting a 3.15 ERA across 200.0 innings in Arizona, only to latch on to Washington’s rotation this winter at the tune of $140 million. Not shockingly, the combination of all these factors has led to a starting pitcher once being drafted outside the top 200 now going off the board around pick 50. So, the obvious question becomes whether or not that increase in price is at all justified. I think it is. Generally, it’s a mistake to buy into fantasy assets at their highest price, but I simply can’t find a hole in Corbin’s game. He had the third-best FIP in baseball last season at 2.47, his 30.8 percent strikeout rate was tied for sixth highest with Trevor Bauer, and his 24.8 percent K%-BB% ratio was also top 5. Even the few negative talking points about Corbin’s campaign either course corrected or just weren’t that important to begin with – sometimes both. Take, for instance, his mid-season velocity drop. The average speed of the lefty’s fastball fell from 92.9 mph in April to 90.3 mph in May; leading to Corbin posting a 3.82 ERA in the latter month. Still, while that figure would represent the largest earned run average of his entire season, Corbin’s four-seam velocity was back up at 92.6 mph by the end of September. Plus, in terms of raw pitch distribution, the newest National works primarily off a devastating slider, anyway. In fact, he threw the breaking ball twice as often as he used his fastball in 2018, lessening the possible impact of any future variations. Then there’s the matter of positive normalization. Yes, there are areas where Corbin’s surface numbers could actually stand to improve. The most clear case of this is the left-hander’s ERA, which finished the year 0.68 runs higher than his FIP – the fourth-largest negative discrepancy of all qualified pitchers. The reason for this is mainly Corbin’s batted ball luck with runners in scoring position. Despite sporting a league-average .302 BABIP for the whole of last season, opponents possessed a .340 BABIP when facing Corbin with RISP. This is directly correlated with the former Diamondback having an underwhelming 74.7 percent strand rate. Now, again, in a vacuum, there’s nothing absurd about that figure; however, when juxtaposed to the other six pitchers with a strikeout rate above 30 percent, Corbin’s LOB rate is by far the lowest of the group. Should we be holding our collective breath for Corbin to reenact Blake Snell’s 88.0 percent strand rate? Of course not. Yet, something closer to 80.0 percent is not unheard of for a pitcher so able to suppress opponent contact. Usually, when it comes to Paxton, the statistical company he keeps is pretty staggeringly positive. Since the start of the 2016 season, among the 120 pitchers who have thrown at least 300 innings in that span, Paxton has the fifth-lowest FIP in baseball at 2.90. That number places him right after the likes of Clayton Kershaw (2.72) and Jacob deGrom (2.87); while actually putting him ahead of big names such as Max Scherzer (2.93) and Corey Kluber (2.97). Yet, like a stereotypical mother in the 1960s, I’m starting to feel like Paxton’s recently hanging out with the wrong sort of crowd – and it’s all because of his inability to keep opponents inside the ball park. This wasn’t even a problem for Paxton before 2018. In fact, it was the complete opposite end of the spectrum. Of the 92 starting pitchers to throw 250-plus innings from 2016 to 2017, Paxton possessed not only the lowest HR/FB ratio of anyone in that grouping (8.0 percent), but also the lowest overall amount of home runs surrendered per nine frames (0.63). He was a groundball-oriented hurler whose stuff was simply overpowering opposing hitters. Then, all of a sudden, Paxton allowed 1.29 home runs per nine last season, stemming from a robust and career-high 14.4 percent HR/FB ratio. His groundball rate, which had once sat at 48.1 percent just two years prior, was down to a far more mundane 39.6 percent. Launch angle wasn’t the only issue, either. Batters were starting to square-up Paxton’s offerings, too. A whopping 9.4 percent of the 394 batted ball events that Paxton allowed last season were barrels. 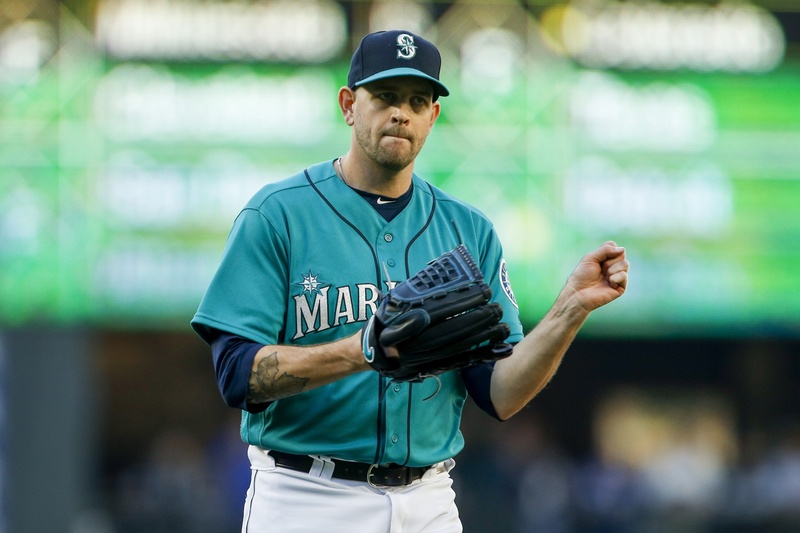 Now, TOOO BEEE FAAAAIR, only 5.7 percent of Paxton’s opponent plate appearances ended in a similar result – as Paxton’s 32.3 percent strikeout rate went a long way in limiting contact in general – but, when not missing bats, Paxton was getting shelled. That 9.4 percent figure ended the year as the fourth-highest mark in MLB for pitchers with more than 300 BBEs. The other four SPs inside that cringe-worthy top-five? Mike Minor, Mike Fiers, Jordan Zimmermann, and Marco Estrada. Not exactly the All-Star list that Paxton had been surrounding himself with through most of his professional career. Then, to make matters worse, Paxton was traded this offseason to New York and Yankee Stadium; an environment that has ranked as either the American League’s best or second-best home run field by ESPN Park Factors each of the past five years. There’s a chance that 2018 becomes the outlier campaign for Paxton, however, with longevity concerns to stack on top of the long ball problem, I’ll likely be avoiding the talented lefty at his current price. When trying to assess a pitcher coming off a mercurial season like Marquez, I find it’s important to pinpoint a tangible reason why the player in question might have undergone such a massive shift in performance. So, in this specific situation, why did a starting pitcher who possessed an atrocious 7.31 ERA at Coors Field in the first-half of 2018 suddenly find himself sporting a 1.74 ERA at home after the All-Star break? However, before we get into that, lets first acknowledge just how impressive Marquez’s arsenal can be and has proven to be outside the altitude of Colorado. Without having to split last season into halves, Marquez was dominant when pitching away from his home ball park. In 106.2 innings of work, the 23-year-old sported a 2.95 ERA with a 3.12 FIP corroborating that pristine figure. He held batters to a minuscule .265 wOBA and struck out 28.3 percent of those he opposed. In short, he was very, very good. Marquez’s best pitch is his slider. Though, that offering is closely followed by an almost equally nasty curve ball. Both pitches accumulated a whiff rate of over 20.0 percent in 2018, with Marquez’s slider finishing the year at a massive 22.2 percent mark. In fact, Marquez was one of only 21 starting pitchers to have a pair of offerings with whiff rates above even 17.0 percent. It’s rare to find a pitcher with even one out-pitch as reliable at generating swings-and-misses as Marquez’s slider, let alone two. Still, let’s put the curve to the side and continue focusing on that slider – a key ingredient in the right-hander striking out 35.0 percent of the right-handed batters he saw last year. Despite the clear evidence that the pitch was the best his stuff had to offer, Marquez was apparently hesitant to throw his slider early on. Entering his first start in June – Marquez’s worst statistical month of 2018 – Colorado’s eventual ace had used his slider on a mere 11.3 percent of the 987 pitches he had thrown to that point. From that moment on, he’d increase that usage to 21.4 percent. Now, while all the results weren’t immediate, Marquez’s strikeout rate jumped from 21.3 percent in May to a far more impressive 26.5 percent figure in June. By September, when Marquez was throwing his slider 26.1 percent of the time, he was setting down 13.4 opponents per nine on strikes. Put simply, he unlocked his potential by unleashing his slider. 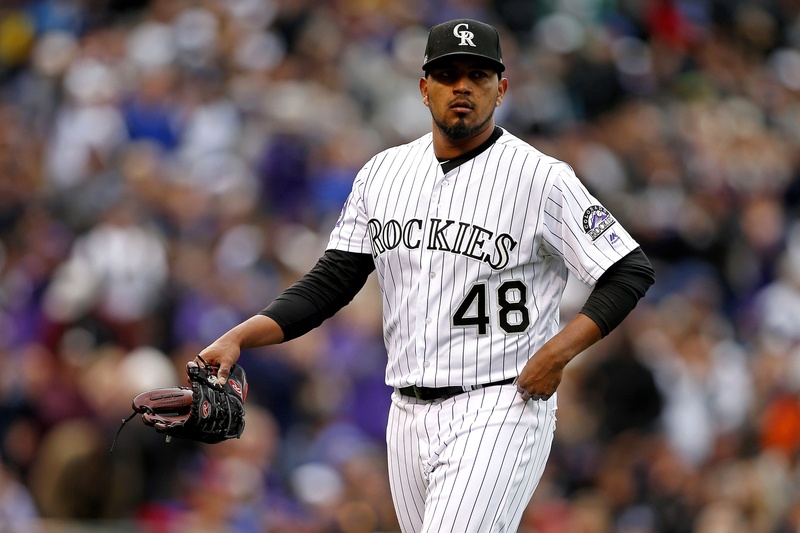 In the second-half of the season, Marquez could lay claim to a 1.78 FIP at Coors Field, with a 37.5 percent strikeout rate and a 52.7 percent ground ball rate. Marquez only surrendered three home runs at home in this stretch, as just 15 opponents were able to end their ABs against the hard-throwing RHP with a fly ball. There’s no way to completely neutralize the effects of pitching in Colorado, but suppressing opponent contact and launch angle easily the best way to try.